The focus of my research is to improve our understanding of how mesoscale and submesoscale processes such as buoyant plumes generated by melting glaciers, buoyancy driven surface and bottom currents, turbulent mixing and entrainment, river plumes and mesoscale vortices influence and modify the general circulation of the ocean. My principal goal is to improve our understanding of the underlying dynamics, leading to a more reliable and accurate representation of these processes in ocean and climate models. Laboratory and theoretical model for geophysical fluid dynamics. I am an active member of the Geophysical Fluid Dynamics Laboratory and a faculty member at the GFD Summer School Program. Ezhova E., Cenedese C. and Brandt L., 2017. Dynamics of a turbulent buoyant plume in a stratified fluid: modelling subglacial discharge in Greenland's fjords. J. Phys. Oceanogr., 47, 2611–2630. FitzMaurice, A., Cenedese C. and Straneo F., 2017. Nonlinear response of iceberg side melting to ocean currents. Geophys. Res. Lett., 44, 5637–5644. Cenedese C., Nokes R. and Hyatt J., 2016. Lock-exchange gravity currents over rough bottoms. Environmental Fluid Mechanics, 10.1007/s10652-016-9501-0. Invited Article. Cenedese C. and Gatto V.M., 2016. Impact of Two Plumes’ Interaction on Submarine Melting of Tidewater Glaciers: A Laboratory Study. J. Phys. Oceanogr., 46, 361–367. Straneo F. and Cenedese C., 2015. Dynamics of Greenland’s glacial fjords and their role in climate. Annual Review of Marine Science, 7 (1), doi:10.1146/annurev-marine-010213-135133. 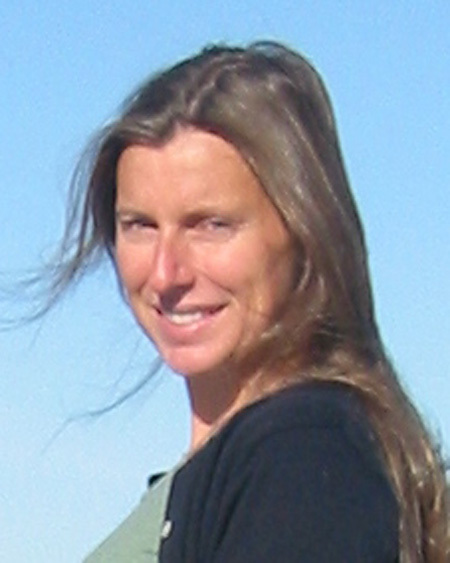 Claudia Cenedese is a Senior Scientist in the Physical Oceanography Department at the Woods Hole Oceanographic Institution (MA, USA) where she conducts research on a variety of geophysical flows including buoyant plumes, gravity currents and vortices using both laboratory and theoretical models. She earned a PhD at the Department of Applied Mathematics and Theoretical Physics of the University of Cambridge (UK) after a MS+BS in Environmental Engineering at the University of Rome “La Sapienza”, in her hometown.